In case you are misled by the internet and peoples foolish and stubborn attempt to profit off of the BIGGEST name in Tattoo as far as Houston goes. Texas Body Art is a Tattoo Studio started up in 1999.The name was derived from the foreseen advertising on the internet and cornerstone market of specific keywords and it was Johnny and his tattooing practices ,knowledge and expierience that kicked off the first location located on Hwy 6. Well the owner Johnny Jackson divorced his ex and moved the studio to Jones Road in 2004.The court ordered that the old shop change its name and it should not be anything close to ,or sound like Texas Body Art. It was then that he met his everloving bride of a lifetime Mizuz Inkaholik.With thier love and passion they spread the news about Texas Body Art all over the southern Region. Many awards and media saturation was set forth to mark Texas Body Art as a landmark in Houston. With outstanding media presentation the name Texas Body Art is everywhere,magazines,newspapers,TV,internet. 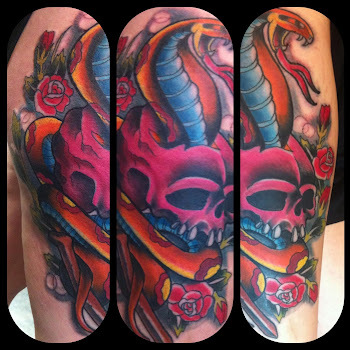 Chances are if you walk into any room in Houston where there are tattooed people ask around and there will be a few that got thier tattoo done at Texas Body Art. As a blatant slap in the judges face the old location merely changed the first word Texas to Houston. Many attempts have been made to remedy this and it is all documented and ready for court battle just to get them to comply with judges orders. Well in a nutshell the point of this blog is to set forth the truth that The "Original" Texas Body Art is ,was and still is Johnny Jackson and his hand chosen tattoo artists knowledge and expierience. View the website in order to see all the great tattoo works and media regarding Texas Body Art in its Purest Original form. The old location is using The Original Texas Body Art only to profit off of the Inkaholiks success with the name.